Although most childhood illnesses are short-term, such as the common cold, rates of chronic conditions among children remain prevalent. The 2017 Child Well-Being Survey (CWBS) asked parents and guardians in Greater Cincinnati and Northern Kentucky if they had ever been told by a healthcare provider that their child had one of several chronic conditions. Asthma, ADHD and anxiety were the three most commonly diagnosed conditions reported by parents and guardians. One in 10 children in the region had been diagnosed with each. Guardians reported that 5% of children in the region had been diagnosed with depression and 1% had been diagnosed with diabetes. The CWBS also asked parents of children older than 2 to specify their child’s weight and height. These were used to calculate the Body Mass Index (BMI) of children in our region. According to these calculations, 3 in 10 children in our region meet the criteria to be obese (29%). This is higher than the nation, where 17% of youth were obese in 2014.2 An additional 1 in 10 children in our region met the criteria to be overweight (12%). 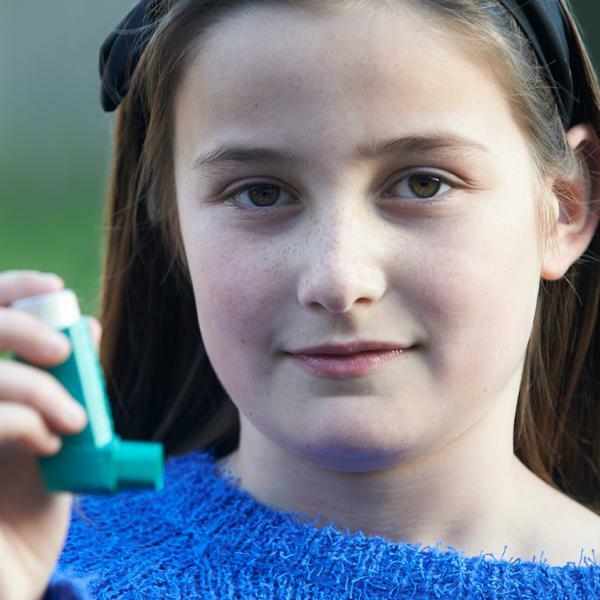 White children (11%) were less likely than African American children (20%) and children of other races (19%)4 to have been diagnosed with asthma. Parents and guardians reported that about 1 in 10 children in the region (13%) had been diagnosed with ADHD. This varied by gender and race. Male children (16%) were more likely than female children (10%) to have been diagnosed with ADHD. About 1 in 10 White (12%) and African American (9%) children had been diagnosed with ADHD by a healthcare provider. Children of a race other than White or African American were more likely to have this diagnosis (25%). Parents and guardians reported that 1 in 10 children in Greater Cincinnati (12%) had been diagnosed with anxiety. Anxiety was more common among children whose guardians had fair or poor physical health (25%) or mental health (25%). That compares with about 1 in 10 children whose guardians had good physical health (13%) or mental health (12%), and less than 1 in 10 whose guardians had excellent or very good physical health (6%) or mental health (8%). Responses also varied by race. Among children of a race other than White or African American, 2 in 10 parents (24%) reported that their child had been diagnosed with anxiety. This compared with 1 in 10 White children (11%) and less than 1 in 10 African American children (4%). Fewer than 1 in 10 children in the region (5%) had been diagnosed with depression. Children in households earning 100% or less of the Federal Poverty Guidelines (FPG)5 were twice as likely (10%) as children living in households earning more than 100% FPG (4%) to have been diagnosed with depression. By asking these questions on the Child Well-Being Survey, we can learn more about who is being diagnosed with these chronic conditions in our local region, and compare to see if this matches what is happening at the national level. 1 Attention Deficit Hyperactivity Disorder. 2 Ogden, C.L., Carroll, M.D., Fryar, C.D., & Flegal, K.M. (2015). Prevalence of obesity among adults and youth: United states, 2011-2014. NCHS data brief, No. 219. Hyattsville, MD: National Center for Health Statistics. 3 Ohio counties: Butler, Clermont and Warren; Northern Kentucky counties: Boone, Campbell and Kenton; Rural counties: Adams, Brown, Clinton and Highland in Ohio, Bracken, Carroll, Gallatin, Grant, Owen and Pendleton in Kentucky, and Dearborn, Franklin, Ohio, Ripley and Switzerland in Indiana. 4 Includes Asian, Native Hawaiian or other Pacific Islander, American Indian or Alaska Native, or some other race. 5 In 2016, 100% of the Federal Poverty Guidelines was $24,250 for a family of four.